Anyway, I'll take a close look at the LittlevGL integration as time allows! LittlevGL now officially supports Micropython! This is an experimental feature, so we would appreciate your feedback. You can try this example Micropython fork. It has LittlevGL module enabled for the unix port and the ESP32 port. The unix port uses SDL display and mouse driver, the ESP32 port uses ILI9341 driver. The current project that I'm working on also requires a GUI so I was doing it on c++ on an ESP32 with GUIslice. 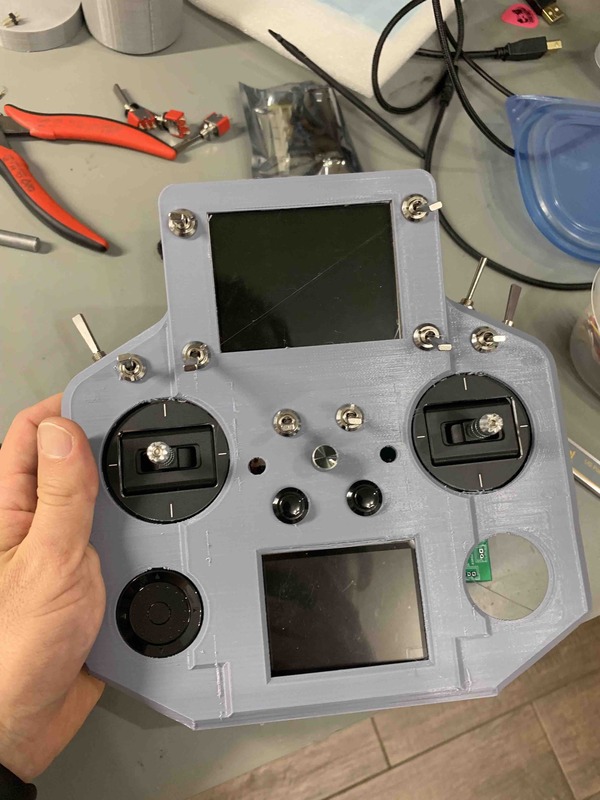 The project itself is a new controller for my robots, I don't like using standard rc controllers, and want to have a two screen setup, one with a video stream and another with a touchscreen and RX and TX information from the robot <-> controller. I'm definitely going to test lvgl. It looks really good, but I need to see if it supports or it is easy to implement a capacitive touch handler. I just saw that it only supports resistive, it would be nice if if also had a generic touch driver, where from python you could just update a method .display_touched(x,y) for example. And the library would handle it. This way the implementation of the touch driver could be totally outside LittlevGL. This is actually a good idea, and very simple to implement. I'll add a generic touch driver. But how do you go about display? I don't think a generic display is going to work very well, it needs high performance, DMA etc. Video streaming for the controller is totally out of esp32, I'll embed a 5ghz video receiver for that, that is on the top display, the bottom one will display sensor information from the robot as well handle controller related settings etc, so no need to be ultra high performance. Still, to make the bottom one reasonably responsive, I think you would need the display driver in C. What controller do you use for your display? Sorry, I missed part of you last message about the generic video driver, for the controller I'm using a ILI9341 capacitive display. but I have been testing a bigger RA8875 one. I converted a circuit python library to micropython (check it here) and got really decent performance with a python drive. The driver has the ability to push a bunch of pixels t the screen so I guess it would be pretty responsive. I have also been playing and creating a library for FT81X on micropython, those are pretty smart IC's. Which particular ILI9341 driver does this use? I've just started looking at this and want to test, but it's not immediately obvious to me. Funny, I tested with SDL and it just worked, didn't think to try it with ESP32 and the display.